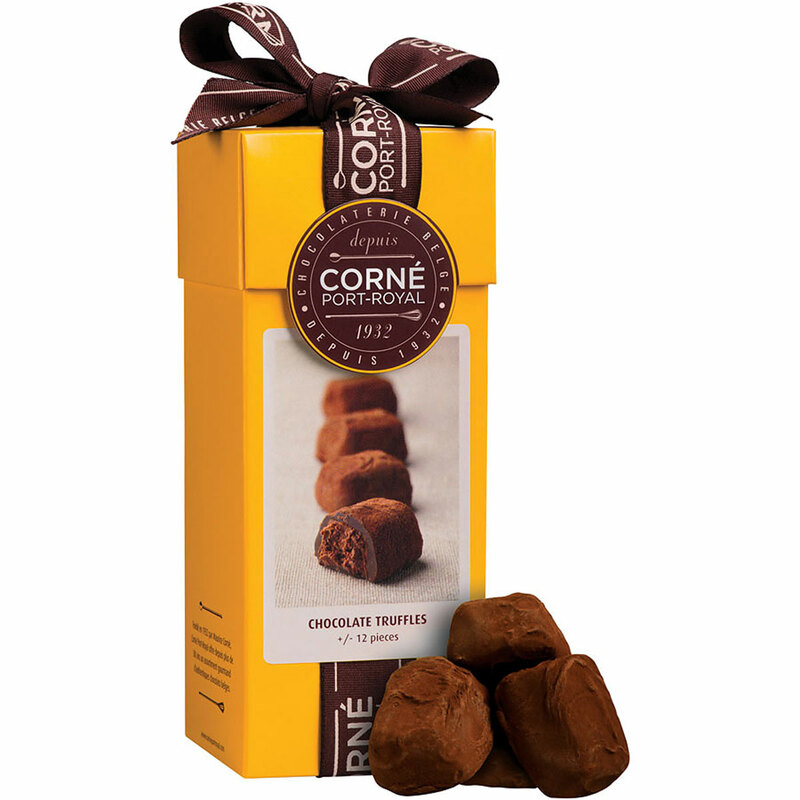 Delight in the best selection of Belgian chocolate by Corné Port-Royal. This elegant gift set offers a delicious collection of indulgences for the true chocolate enthusiast. 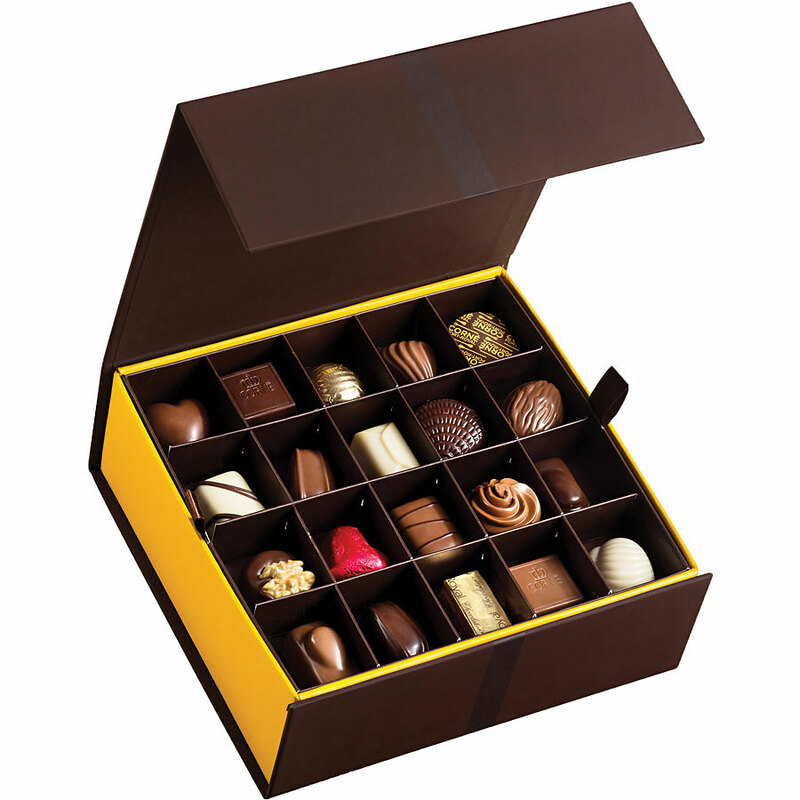 The elegant gift box contains 40 assorted milk, dark, and white chocolates in a variety of pralines, ganaches, caramels, and more. The two layers of beautiful chocolates are a feast for the eyes, as well as a delectable treat to savor. The gift also includes a lovely box of Corné Port-Royal Royal Collection Dame Blanche: heavenly Belgian chocolate truffles covered in creamy white chocolate. 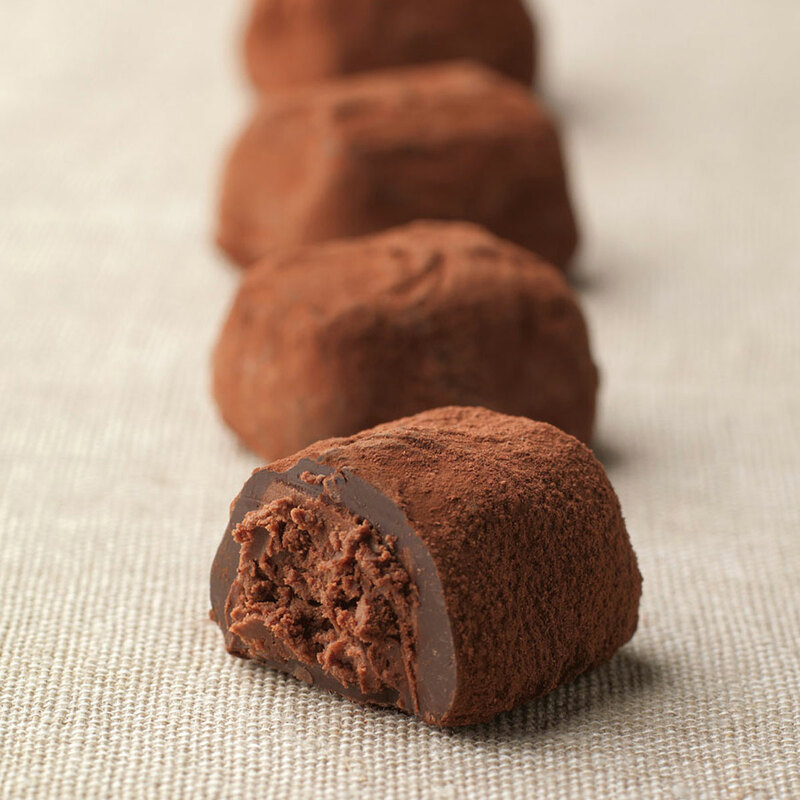 A true pleasure for all truffle lovers. A pair of Corné Port-Royal's ever-popular Chocospoons complete the gourmet chocolate gift. These chocolate spoons are the most delicious way to create rich hot chocolate - just add milk! 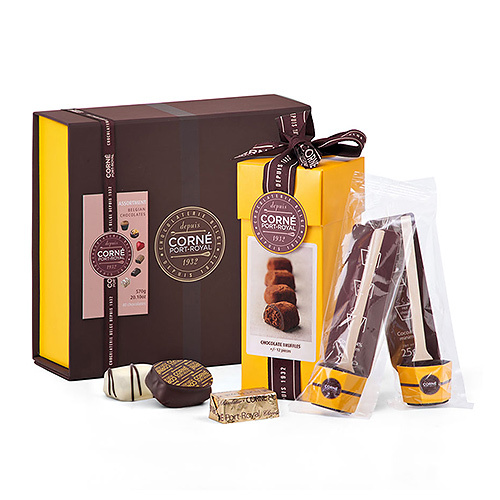 Who will you surprise with this wonderful Corné Port-Royal Belgian chocolate gift set? It is perfect for family, friends, and colleagues for all special occasions. Ingredients: Cocoa mass, sugar, cocoa butter, emulsifier: soy lecithin, natural flavour: vanilla.